Sami's are sweet. I'm a big trackick fan.. 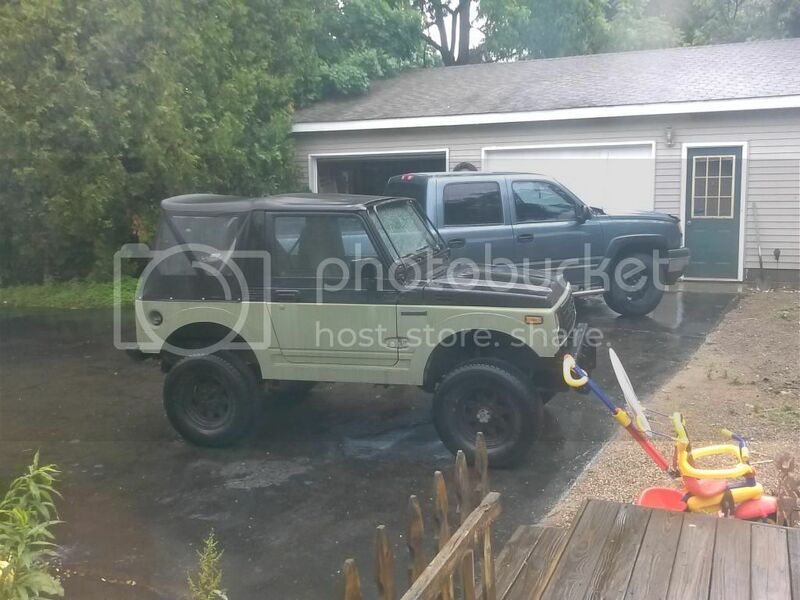 Almost would rather have my sami back vs. My cj7. I also have a 95 trackick so it fills that zuki void for now. Here's the '87 Sami I sold last year. Low range SOA rocky road link mini spool. Almost. Had a lot of folks assume it was a jeep. Even though it had zuki emblems all over it. 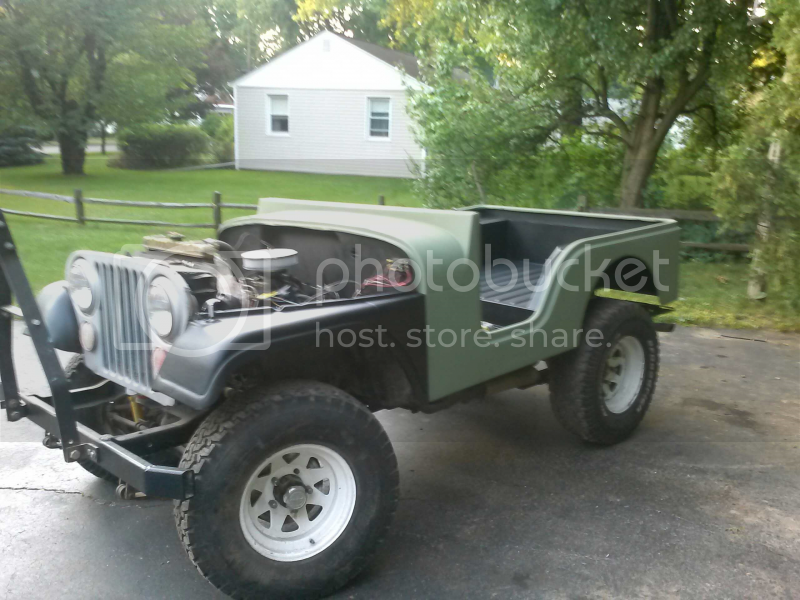 More of the size of an early cj5..
Kinda like the one I sold to buy the sami! Same color too haha. Ubfortunetly I sold it as pictured and never got to wheel it.. Did drive it quite a bit before I did the fiberglass tub swap. Like a lot of you guys.. IM SURE! Here's another old rig that managed to escape my compound! A trusty XJ with mild lift and mt's. Oh look.. Her redheaded stepsister. 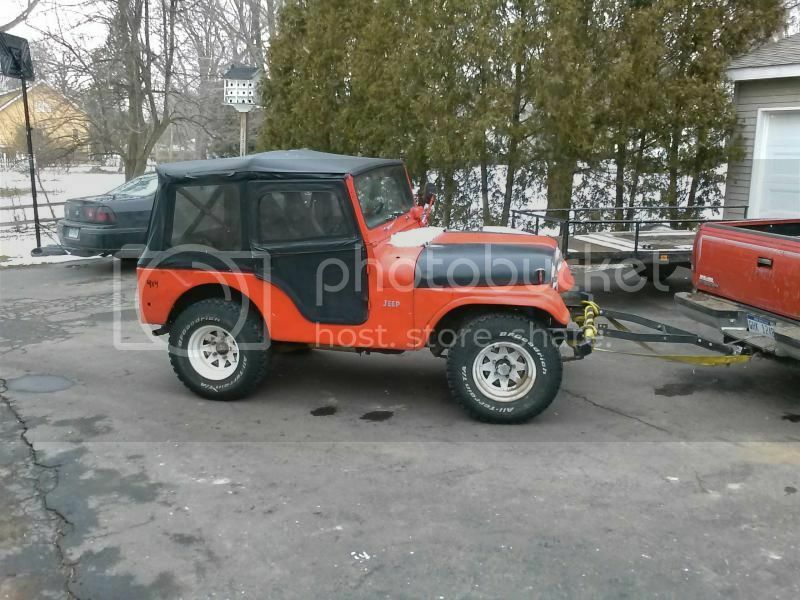 those where some nice looking trail rigs lynxer when I am done with the wrangler I plan on buying something like this for a trail rig that can have dents and scratches. I also seen that the views on this thread is at almost at one thousand thanks every body. Can't go wrong with a cheap rusty but trusty 4.0 straight 6 XJ! Watch for rust on the uniframe near rear bumper/spring areas. Also were the gas fill neck goes through the uniframe... The rest is whatever! Is the YJ will be worth maybe what you have invested when your done....if you're lucky. 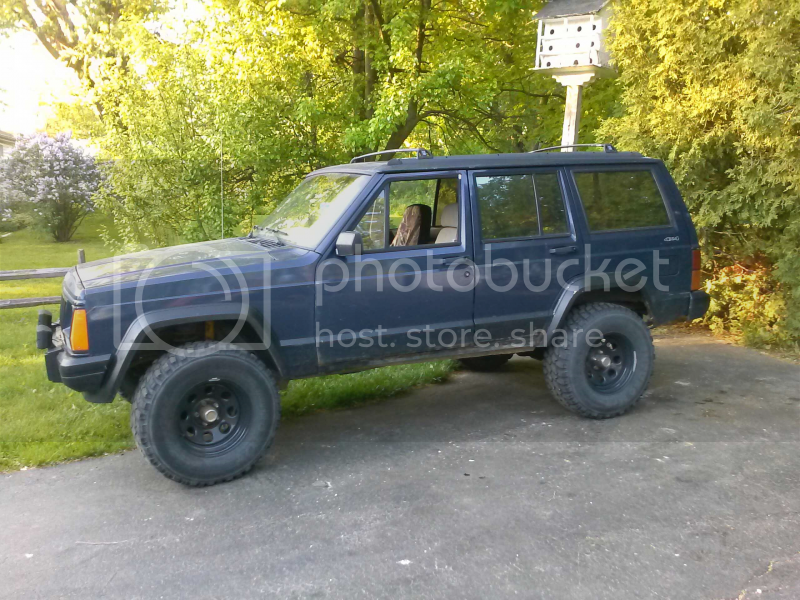 This will give you enough money to buy a rotted in half, clapped out XJ and start all over again. And yes you can go wrong here, most of these rusted out XJ's are more or less just scrap and unsafe to have on the road. Yet people seem to still want top dollar for them. You already have a nice light duty trail rig just make it work and build it for your self. YJ's really don't hold their value, unless they are turned into a buggy on one tons with 40's, or more or less undriven. If you enjoy working on cars all day....for free...Go get a job at a dealership, they have more than you know what to do with.....I'm sure. If anything, you will come out with some skill you can't learn anyplace else. I do work one cars all day for my dad. The plan ways to keep the wrangler but you cant keep everything you buy and I like to build custom stuff so that is why it is not turning into a crawler it will be more of a show jeep than anything. Take a look on ebay and see what some of the restored ones will do if you find them on their. I was going to take what I get from it a buy a Cherokee to crawl with so that I don't destroy the wrangler. Does this fit here? Just came across my Facebook feed for sale locally. There's a lot going on here. 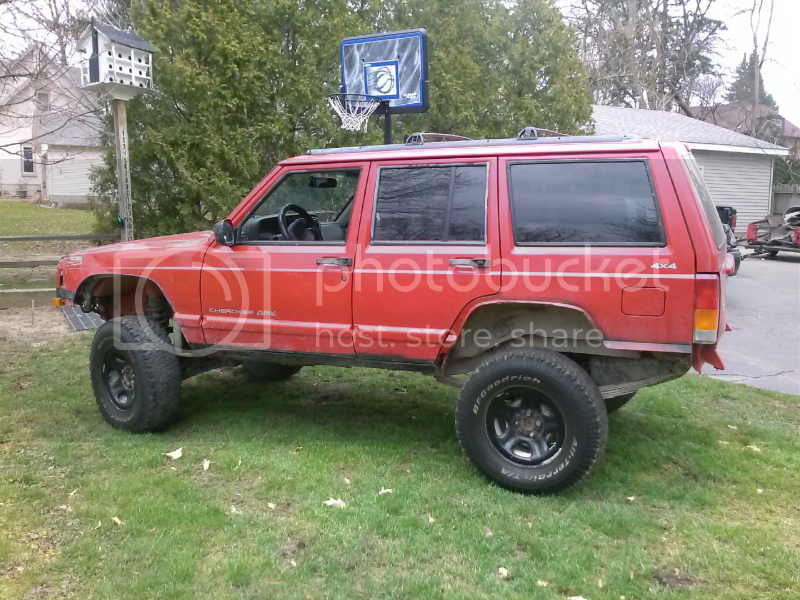 I'd rather have a nice fully restored and new mint XJ than an YJ any day. Though what do I know I just bought a new JK that will eventually have scratches and dents...thats what Jeeps do. Like a corvette should see a race track, autox, or drag strip. Ditto. A good friend of mine has a YJ and it just doesn't really work in most situations like you think a Jeep should. It's too stiff to flex like it needs too, and with open diffs that just makes a bad combination. The only place it really does any good is mud, and we both hate mud. Why would any body hate mud I love it the only bad is when you get stuck. I got my 4 wheeler stuck a few times even with mud tires. Never mud in something you plan to drive to work and back. A little mud maybe, mud pits, no way you are just asking to spend money. Yea I learned my lesson on my traxxas slash 4x4 8 bearings for all the wheel bearings adds up. Usually when I take the 4 wheeler out for a drive I try to run it through water to clean everything.